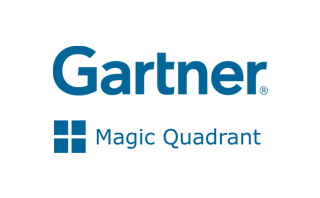 Gartner, Inc. is the world’s leading research company, providing a comprehensive collection of analysis and advice for users and vendors of technology. eComchain and Gartner has been mutually sharing eCommerce related topics to gain insights on technology trends and best practices to find the right eCommerce solution for our customers. 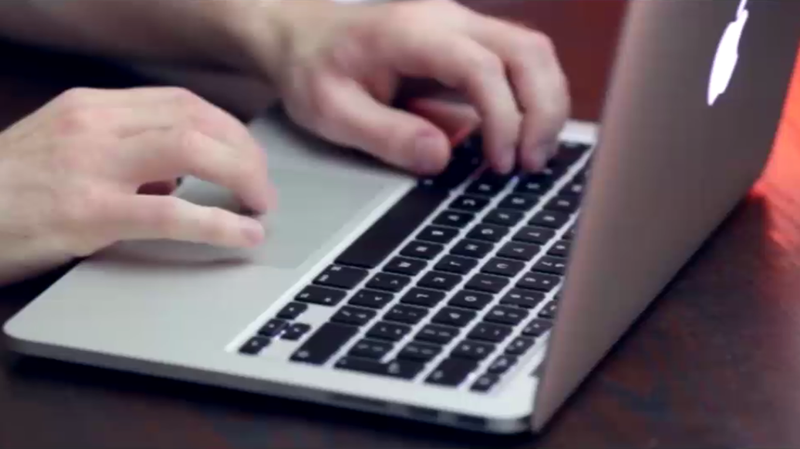 G2 Crowd provides a platform for an independent review of business software and services. G2 Crowd and eComchain have teamed up to gather more insight on what businesses are looking for with their eCommerce sites. Amber64 integrated with eComchain provides a robust, scalable Artificial Intelligence engine that significantly improves conversion rates and GMV. Practical intelligence derived from rich realexperience and facts over a period time with ever continuous learning is used to develop predictive and prescriptive analytic reports for merchant take strategic decision. Amber64 combined with eComchain's eCommerce capabilities provide the breadth and depth in areas of Data Science, Big Data, Machine Learning and Deep Learning which can be applied in daily business of retail planning and retail execution through the eCommerce stores. Watson is a question answering computer system capable of answering questions posed in natural language, developed in IBM's DeepQA project by a research team led by principal investigator David Ferrucci. Watson was created as a question answering (QA) computing system that IBM built to apply advanced natural language processing, information retrieval, knowledge representation, automated reasoning, and machine learning technologies to the field of open domain question answering. With eComchain's integration to IBM Watson's quaestion answering capabilities, merchants using eComchain for their eCommerce requirements, are able to cut down on the operational costs considerably. eComchain's partnership with Centry, opens up a new sales channel for customers who would like a wider and broader reach in the South American retail market. eComchain's integration with Centry, retailers from any part of the world, can now sell their products in multiple sites with in South America in a single click. Additionally, retailers can now keep their inventory updated automatically on each of these sites without much effort. Amazon Marketplace is an e-commerce platform owned and operated by Amazon.com that enables third-party sellers to sell new or used products on a fixed-price online marketplace alongside Amazon's regular offerings. Using Amazon Marketplace, third-party sellers gain access to Amazon's customer base, and Amazon expands the offerings on its site without having to invest in additional inventory. Elavon Inc., formerly NOVA, is a processor of credit card transactions and a subsidiary of U.S. Bancorp. Elavon offers merchant processing in more than 30 countries and supports the payment needs of more than 1,000,000 merchant locations across the globe. Elavon is the 4th largest U.S. credit card processor and is a top 6 acquirer in the European marketplace. Paytm is India’s largest mobile commerce platform. to consumers on its mobile apps. PayU is a leading online payment service provider dedicated to creating a fast, simple and efficient payment process for merchants and buyers. PayU always focused on and continue to focus on matching merchants’ needs with the way consumers shop and pay. PayU provides state-of-the-art payment gateway solutions to online businesses through its cutting-edge and award winning technology. The MercadoPago is a payment intermediary institution on the Internet, of Latin American origin, with 126.7 million registered users on its platform.With ten years of experience in Latin America, it is a company of Grupo MercadoLivre , with shares traded on Nasdaq. The platform was developed with the most advanced Internet security technology by a team of finance, technology and information security experts with extensive experience in the development of online financial services. Oracle designs, manufactures, and sells both software and hardware products, as well as offers services complementing them (such as financing, training, consulting, and hosting services). eComchain is integrated with various Oracle E-Business Suite modules, including Order Management, Customer Management, Inventory, Advanced Pricing and modules that provide useful data to shoppers online. As the market leader in enterprise application software, SAP is at the center of today’s business and technology revolution. SAP helps you streamline your processes, giving you the ability to use live data to predict customer trends – live and in the moment. With eComchain's configurable integration platform, SAP customers are able to transition from a traditional on-premise eCommerce platform to eComchain with ease, with data transition between eComchain and SAP happening in real-time using RESTful APIs or Webservices. Oracle's JD Edwards World single platform solution enables better collaboration both within and outside your business network. With eComchain's integrations to JD Edwards, large to SMB companies around the globe trust their business to run on JD Edwards, because of its low total cost of ownership, stability, and breadth of products. Fujitsu signs up eComchain as one of their key partners for their SaaS-based eCommerce implementations involving end-to-end integration with ERP applications such as Oracle E-Business Suite. Together Fujitsu and eComchain provide expertise in deploying eCommerce solutions for Enterprise customers globally, cost-effectively and most efficiently. RetailWins solutions are aimed to eliminate the acute pain areas the Retailers face, thus empowering them to concentrate on their core-competency. They provide people solutions and services as well. RetailWins are the biggest implementation partners of eComchain in the APAC region and have integrated eComchain with the RetailPro application, providing customers a scalable eCommerce platform with end-to-end backoffice integration with their retail system. ITC Infotech is a specialized global technology services provider, led by Business and Technology Consulting. ITC Infotech’s Digitaligence@work infuses technology with domain, data, design, and differentiated delivery to significantly enhance experience and efficiency, enabling our clients to differentiate and disrupt their business. and shopping carts using all the top carriers. Avalara, Inc. is a privately held company with headquarters on Bainbridge Island, WA developing cloud-based sales tax and compliance systems. Founded in 2004, Avalara is one of six Certified Service Provider available to retailers. eComchain has been successfully partnering with Avalara on successful deployment of global Cloud-based Tax calculations for eCommerce sites. Amazon Web Services, is a subsidiary of Amazon.com, which offers a suite of cloud computing services that make up an on-demand computing platform. These services operate from 12 geographical regions across the world. eComchain is hosted on AWS and the result is there to see.